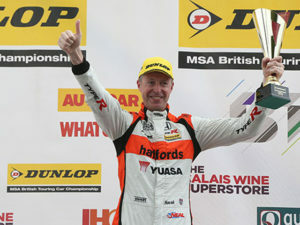 Visitors to next week’s Fleet Show at Silverstone will have the chance to meet British Touring Car Championship (BTCC) driver Matt Neal and experience a track ride with him. The three-time BTCC champion be taking part in an exclusive Q&A with visitors, giving fans the opportunity to ask him any burning questions. Attendees who complete a Honda test drive will also have the chance to be entered into a draw to jump into the passenger seat for a ride around the iconic Silverstone circuit with Matt. Honda vehicles available to drive at the Show include the HR-V, CR-V and Jazz as well as the Civic – which is now available with Honda’s highly efficient small diesel engine, bringing excellent economy figures under the new NEDC Correlated standard. Two Honda sessions will run on the day to guide visitors through all the Civic’s features. As part of a total mobility solution for fleets, Honda will also be enabling visitors to get a taste of its motorbikes with the ‘Power of Lean’ experience. Visitors will also be able to speak to Honda’s experts about any of their fleet requirements or challenges. Honda is just one of a large number of carmakers at the Show, providing an array of test-drive opportunities. And attendees will also be able to make the most of packed seminar line-up covering the latest issues for fleets, as well as a comprehensive exhibition area that will showcase some of the latest fleet solutions.